Are you looking for a unique home? This meticulously maintained New Englander is the ticket! Conveniently located with easy access to the Manchester airport and both Rte 93 and the FE Everett Turnpike. 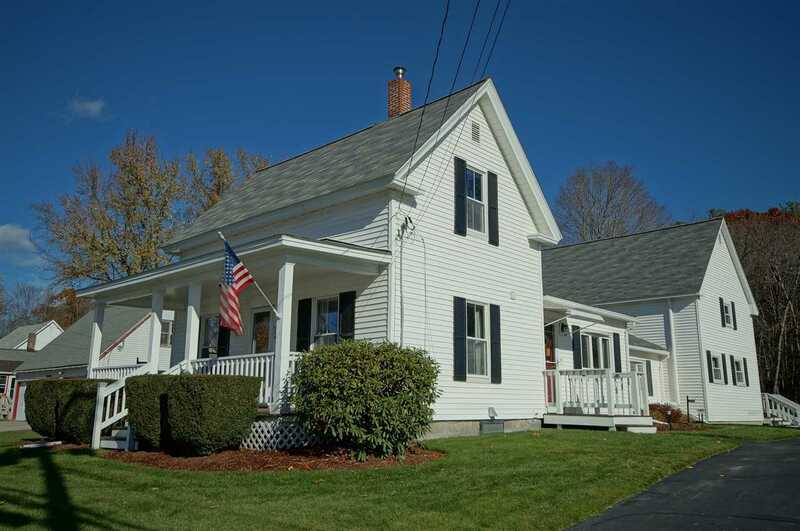 Set on a lovely level lot in Londonderry&apos;s own little village, you&apos;ll find this home warm and welcoming. Beautifully landscaped with stone walls and an abundance of perennials; it even has a little covered bridge to lead you to a walk in the woods! Sunny eat in kitchen with lovely cherry cabinets and granite counter tops. You&apos;ll love the large family room with inviting gas fireplace that warms you up on those chilly mornings! There&apos;s the option of a large 4th bedroom or use it as a bonus room. A spacious 3 season sun room that will get a lot of use in the warmer weather, and a pantry, are just some of the highlights of this charming home. Newly installed mini splits will keep you cool in the summer and new Levolor cellular shades grace the Harvey replacement windows. Public water and sewer are added bonuses, plus a 2 year old roof and a furnace that was replaced 3 years ago. Close to the rail trail and orchards. A short walk down the road takes you to Merrill&apos;s Farm for fresh eggs, apples and other fruits and vegetables! Come and take a look, it&apos;s waiting for its new owner!